Super Idol Taeyang dropped by Singapore for his White Night world tour last weekend. The Singapore VIPs were honoured to be the audiences for the last stop. Although he was alone without the members of BIGBANG, he still gave his best performance and made the audiences felt like attending a party more than a concert! Taeyang held the concert for about two and a half hours, so let’s recall the highlight of that night! Taeyang started of his solo concert with dance hit ‘Ringa Linga‘, and some of his other famous songs such as ‘Body‘, ‘Only Look At Me‘ and ‘Wedding Dress‘. During the ment, Taeyang mentioned about his memories of Singapore when he held the BIGBANG Alive Galaxy World tour. He said that the VIPs were very passionate, giving him a lot of energy, making that one of the good memories he had in Singapore . Taeyang mentioned about his albums and shared how he feels about the latest one, “White Night”. He also mentioned that “Of all albums, I enjoyed making this album the most and I’m very satisfied with the result. I hope the message of this album gets delivered to all of you’. Moving on to the next segment of the concert, Taeyang sang more of his songs from the latest solo album, AMAZIN’‘, ‘Naked‘, ‘Empty Road‘ and ‘Darling‘. 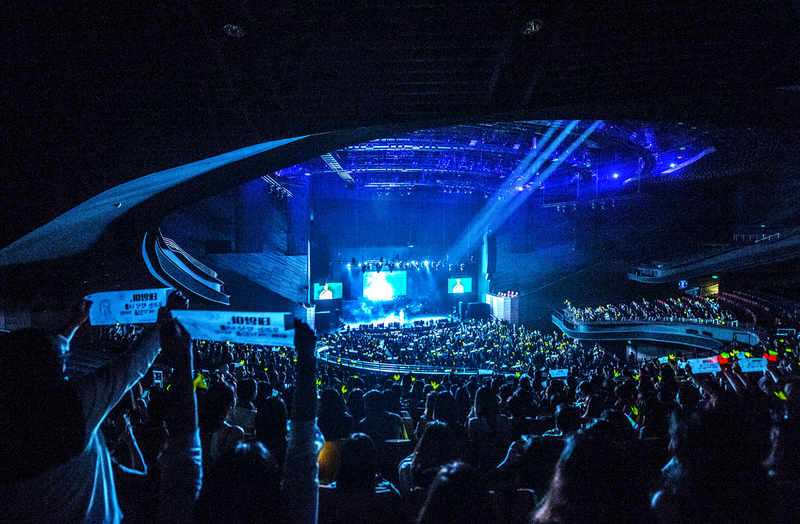 The fans were charmed completely by Taeyang vocal, and obsessed by his performances. Taeyang performed a special edition of BIGBANG’s “Last Dance”, with him playing the keyboard. He mentioned that he misses his members badly as he was travelling overseas alone frequently throughout the solo tour. The greatest happiness in my life is having my BIGBANG members!” This was Taeyang expression of love to his precious members. Taeyang thanked the fans for coming to the concert and mentioned that he will return to Singapore with his fellow members soon. Its definitely a great news for the Singapore VIPs. Korean Updates would like to thanks UnUsUaL Entertainment for the invitation.